VanLife – it’s blowing up your social media platforms. It’s the constant notification from a friend to your inbox about some news story about people forging their own path. It is for many a pipedream of a simpler life as they try to escape the chaotic and hectic reality of their day to day. And now it’s my new life for all of the above mentioned reasons. #VanLife. That easy. A hashtag and a life change. It’s somewhat demoralizing to say it all gets condensed down to that, but perhaps the lifestyle will result in dramatic alterations! I will be straightforward with you all. One of the many reasons I’m choosing #VanLife is because I want a financial break. Yes, I want to get away from technology. Yes, I want to travel more and see the country and fill my soul with nature and the endless questions of what life should be giving back; but, I also want to save money for my future. When I returned to the States the first thing I did was get a non-contract cellphone. Contract plans didn’t exist in the countries I resided and everyone was happy and fine. They could leave their plan anytime a better one came out. Now I’m leaving my rental plan. Rent is a fool’s game. I’m also a college graduate with management experience, international travel for the US Govt, and mild/moderate Russian speaking skills – and I’m working an entry level office job that is barely paying the bills. So yes, saving money and finding alternative ways to fill the coffers is an absolute goal of #VanLife. I recently read an article in the New Yorker about a couple that lives out of their van. I follow them on instagram and read their numerous responses to The New Yorker. The article focused on the freedom from technology and showed a safe haven of financial reprieve from overpriced rentals. It also focused quite a bit on how the #vanlifers market themselves through advertisers to help keep them on the road. #VanLife is about finding your inner-self, living free, and a whole bunch more in that vein. I do not disagree with that philosophy, I believe that at the end of the day all anyone really wants is to live the life they want without doing the work they don’t. 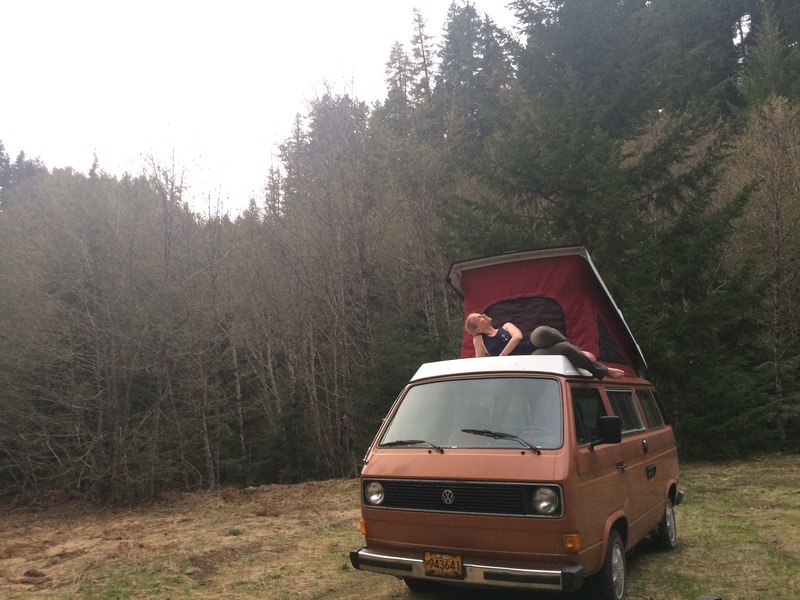 My girlfriend (JC) and I are moving into a 1981 Westfalia Volkswagen Vanagon. We’ve taken the van out on a couple test camping trips and are in the process of building her up to house two energetic people. This blog is going to primarily focus on our prep work to make the van ‘house-worthy’ before our lease expires at the end of June. 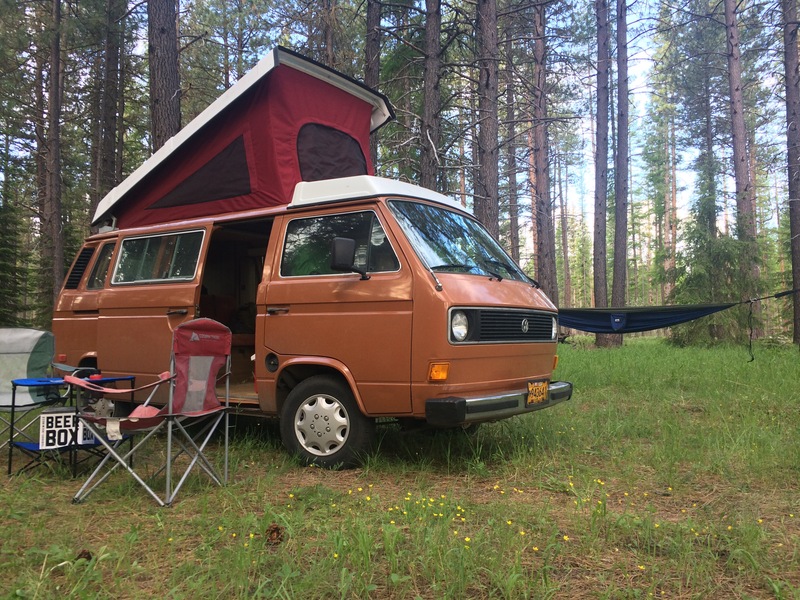 A lot of the vanlifers you see out there are living off the road, doing mobile / remote jobs – all that kickass cool stuff you see on social media. What makes us different is that we are trying to fit as much #VanLife as we can 6 to 10, the hours we try to be who we truly want to be when not at work punching the time clock. We want to show people that choosing #VanLife doesn’t mean giving up everything and heading into the great unknown (that would be FANTASTIC), but that it can be done while holding down a regular job because, you know, money. It’ll be a bumpy road. So get ready for some awesome transition stories as we turn our campervan into a home. Our ultimate goal is to make the most out of #VanLife as we possibly can. That’s going to mean late nights as we hop in right after work and explore the wilderness for rock climbing spots. Doesn’t matter how far out we go, we’ve got our home with us. It’s going to mean early mornings where we rush back from our wildlife adventure and hit up one of the many 24 hr gyms in town so that we can use the facilities and shower. Join us as we try to find the best way to fill our souls, make enough money to pay the bills and student loans, and get healthy from the pre-work gym visits, the rock climbing in the shade of a tree as the sun sets behind us, and the freedom of what unfolds.